Some of the world’s most talented dancers will perform at New York City Ballet this winter season. Winter has more to offer New York City than just frigid temperatures and bone-chilling wind. Look no further than New York City Ballet, whose Winter 2016 season begins on Jan. 19 at 7:30 p.m. with a selection of incredible ballets. From there, the season will only grow more impressive with works from the likes of Gershwin and Tchaikovsky. Newly appointed music director Andrew Litton will prove his qualifications for the position with this spectacular season-opening debut of three American composers who had an indelible impact on the foundation of his career in ballet. Running nearly two and a half hours in the David H. Koch Theater, the performance will immediately set the tone for another wonderful season. Starting off with the romantic Barber Violin Concerto featuring an interplay of two couples – one classic, one modern – then moving on to Bernstein’s Fancy Free, a delightful exchange of three sailors on shore leave in Manhattan, before concluding with Gershwin’s spectacular exchange of duets in Who Cares?, this is a musical selection that simply cannot be missed. There is a bit of history to this program. New York City Ballet’s two founding choreographers, George Balanchine and Jerome Robbins, will both have their immortal work showcased in the juxtaposition of two worlds – one of traditional, sweeping waltzes and the other of city life, full of constant motion and vibrant energy. NYCB offers some of the best ballet performances around this winter season. Balanchine’s work on Liebeslieder Walzer is set in a classically elegant ballroom to 33 Brahms waltzes. A romantic two-part ballet featuring four couples locked forever in intimacy, classical music lovers will find plenty to appreciate here. Glass Pieces, with choreography by Robbins, is a more economical dance, as focused and alive as a New York sidewalk in summer. For 60 years George Balanchine created one of the most diverse and refined ballet repertoires ever. To celebrate his contributions to the art form, NYCB will host a two part event. The first night pays homage to Balanchine with three ballets that put his gifts center stage. First up is Verdi’s Ballo della Regina, which displays thrilling choreography that began with the idea of pushing the lead ballerina to her physical limits. Next is Kammermusik No. 2 by Paul Hindemith, a ballet of precision and speed that leaves little doubt of Balanchine’s creativity. The regal Tchaikovsky Suite No. 3 rounds out the immersive experience. With so much Balanchine to draw on, the decision of what to include in this two night exhibition must have been exceedingly difficult. Thankfully it’s practically impossible to go wrong with anything the legendary choreography produced. 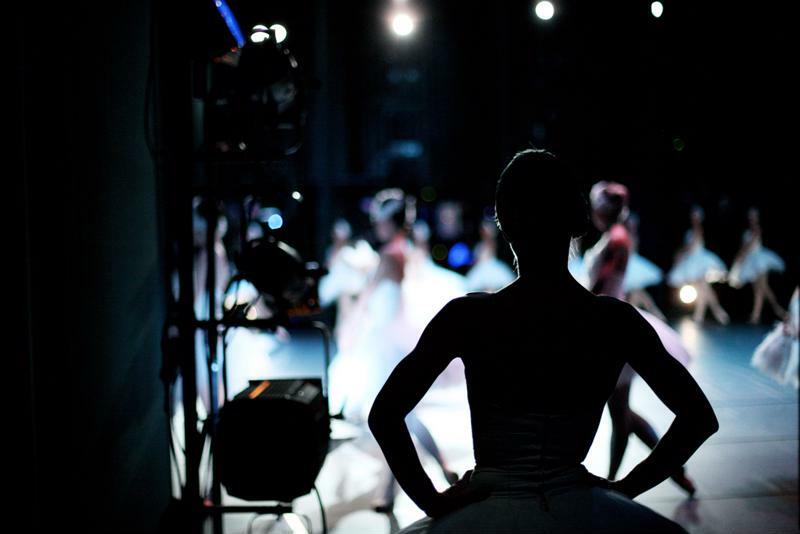 NYCB’s winter season concludes with this second Balanchine phase featuring four ballets. Beginning with 24 women whirling across the stage in Walpurgisnacht Ballet by Gounod, followed by the minimalist but highly emotional Sonatine by Ravel and the spiritual Mozartiana by Tchaikovsky, the night culminates with Symphony in C by Georges Bizet – a spectacular finale featuring more than 50 dancers.